Used for nurturing the healthy growth of plants, Plant-T-onic is an efficient fertilizer made from Sea Weed Extract. It ensures a vigorous growth of the treated plants with a better yield of flowers and fruits. 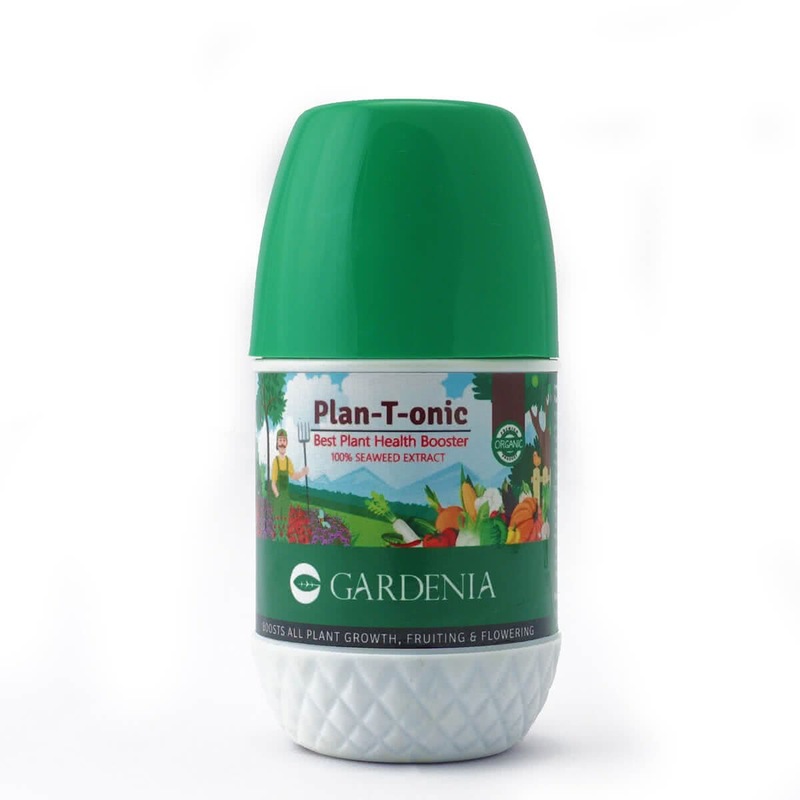 It is also effective in protecting the treated plants from infestation by pests and insects. It is a liquid fertilizer made from Seaweed extract which is applied by mixing 3-5 ml with 1 Litre of water and spraying. Improves plants vigor and extends plants life. Add 3 to 5 ml per liter of water and spray every 2 weeks.